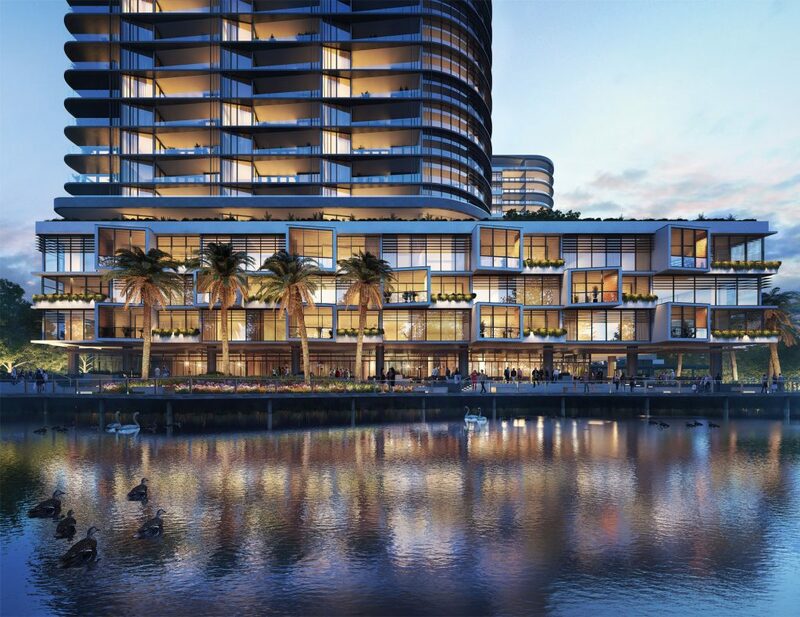 This vital transport link to the Macquarie Park, Chatswood & the Sydney CBD makes the Esplanade on Norwest Lake an extremely viable development to add to Sydney’s housing mix. 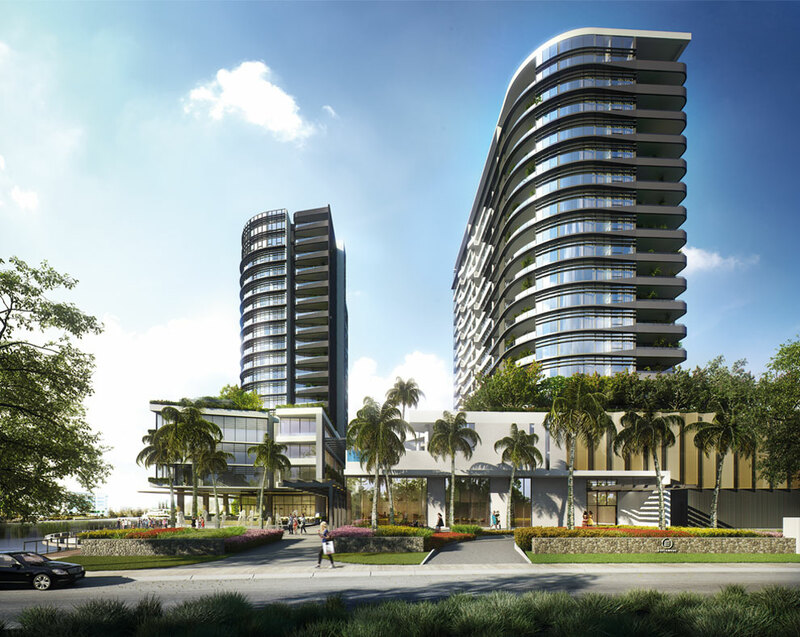 The Esplanade development will feature 2 towers of 16-19 levels each thanks to a sloping ground landscape. 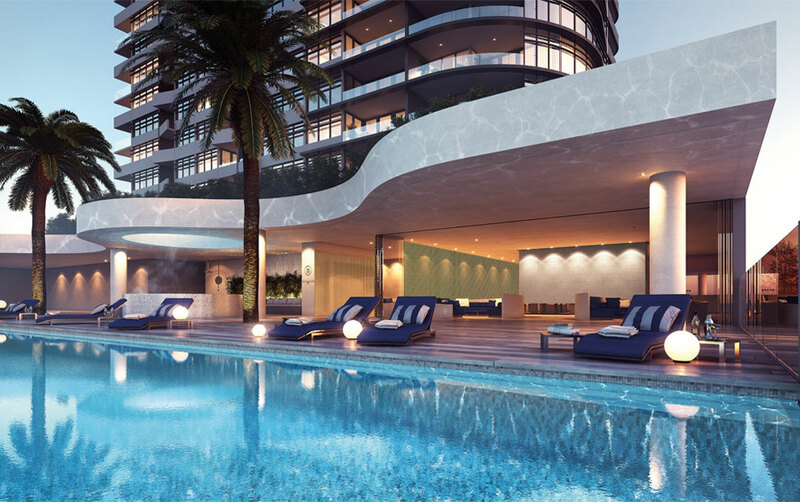 Each building will reach a maximum height of 65m & will both be tied in being the tallest building upon completion in the suburb of Baulkham Hills & the Norwest Business Park. Each building will feature 3 levels of commercial space. The commercial space will be above the ground level which will be used for retail space. 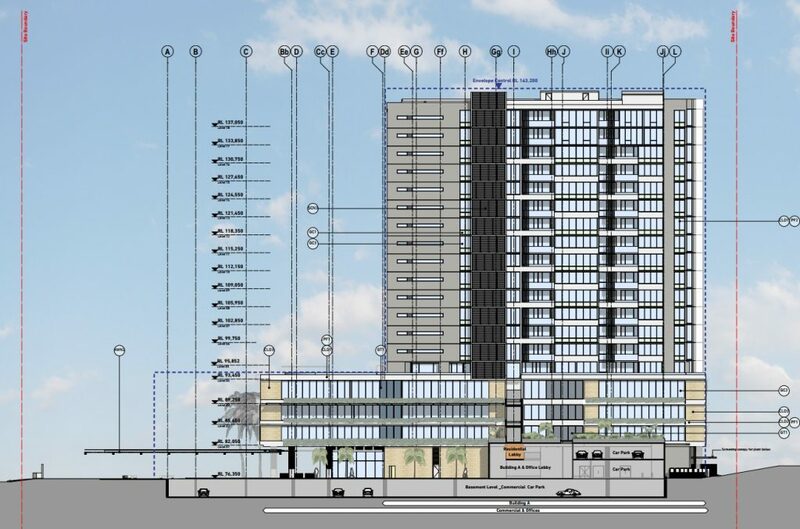 Above the commercial & retail space will be 15 levels of apartments. 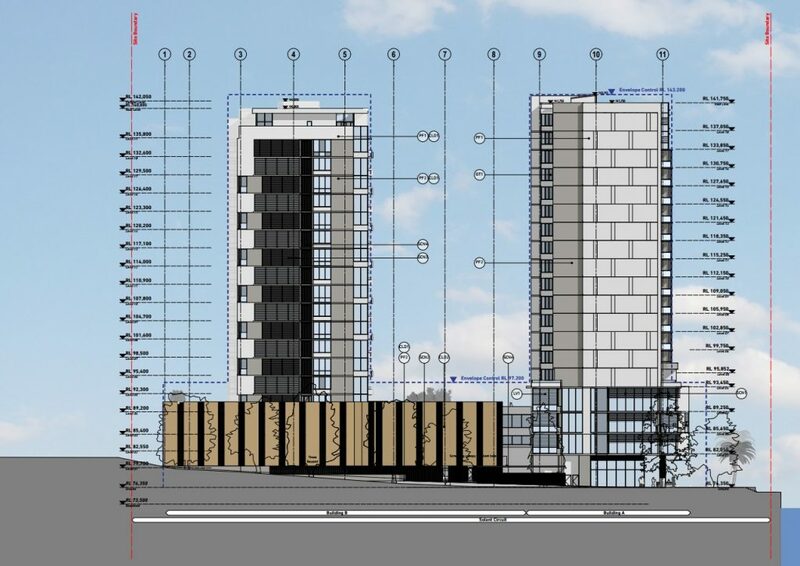 There will be a total of 267 apartments over both buildings. There will be a total of 654 car parking spaces which is massive which will be set over 5 underground levels. 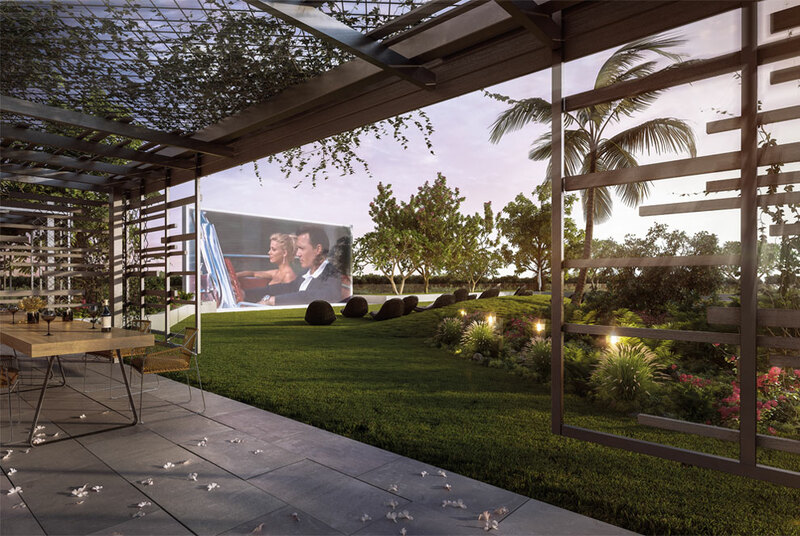 The location is spectacular being located on the Norwest Lake, being right next to the Norwest Market town shopping centre, close the future Norwest metro train station & within walking distance to the surrounding business parks for employment purposes. 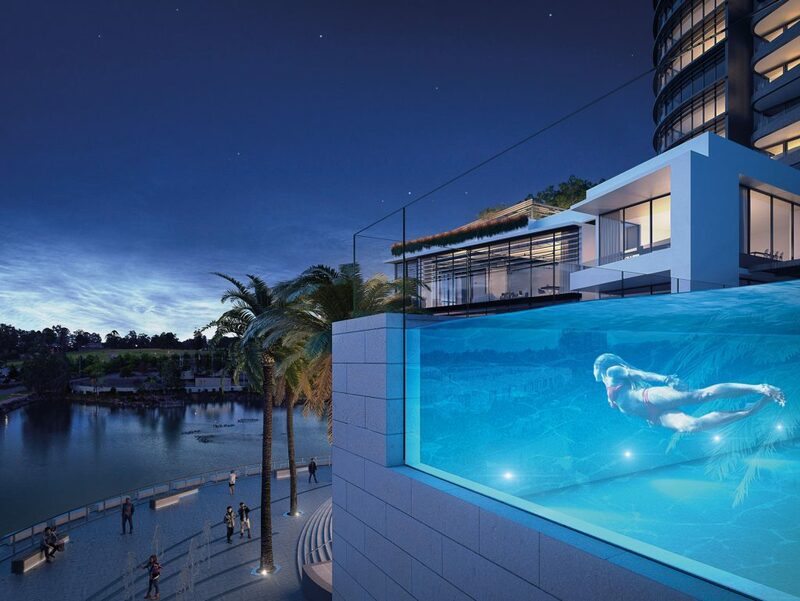 The project is being developed by Capital Corporation which is a Diverse Australian developer. The Building & Interior architects are Turner which is a quality Australian firm & The landscaping architects are Scape Design which is also an Australian firm. The total cost of the development will be $105.8 Million, which is the biggest single development by value in the Norwest business park to date. It is expected that the project will be completed by late 2019, right after the opening of the Norwest metro station. You can view further information on the Esplanade on Norwest lake development at either their official website, on the Planning Panles website or alternatively, you can discuss the development on our construction forum. 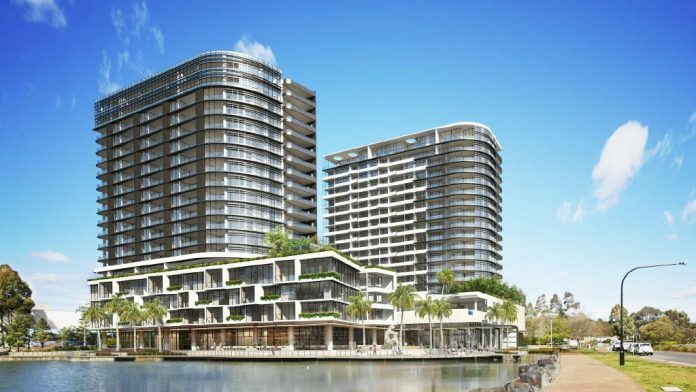 The Esplanade development at 11 Solent Circuit in Baulkham Hills will be a mixed-use development containing two 19 story towers.